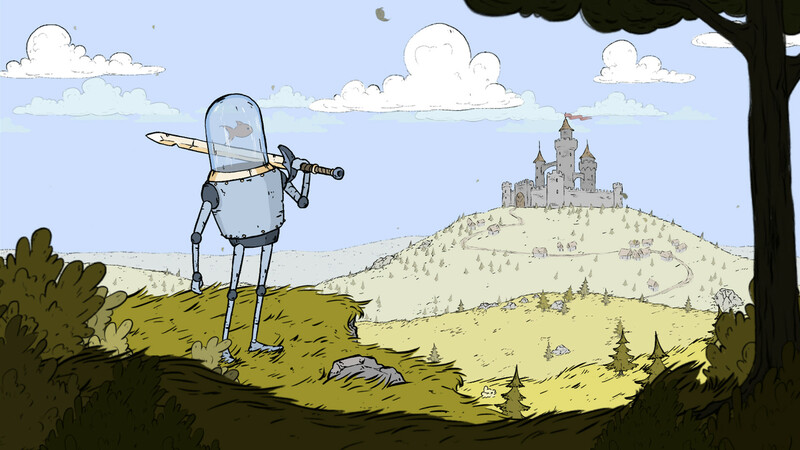 Toby: The Secret Mine wasn't a massive hit critically for Attu Games, but they're trying again with a more original looking concept -- Feudal Alloy. Described as a Metroidvania with "fishbowl-powered medieval robots," their newest project is set to arrive on PC, PS4, Xbox One, and Switch at some point in the third quarter of 2017. Based on the description it will have multiple questlines, lots of loot to plunder, and a "huge interconnected world." The designs remind me of something akin to an offbeat deckbuilding game, which is nice, but the trailer hasn't quite sold me gameplay-wise.